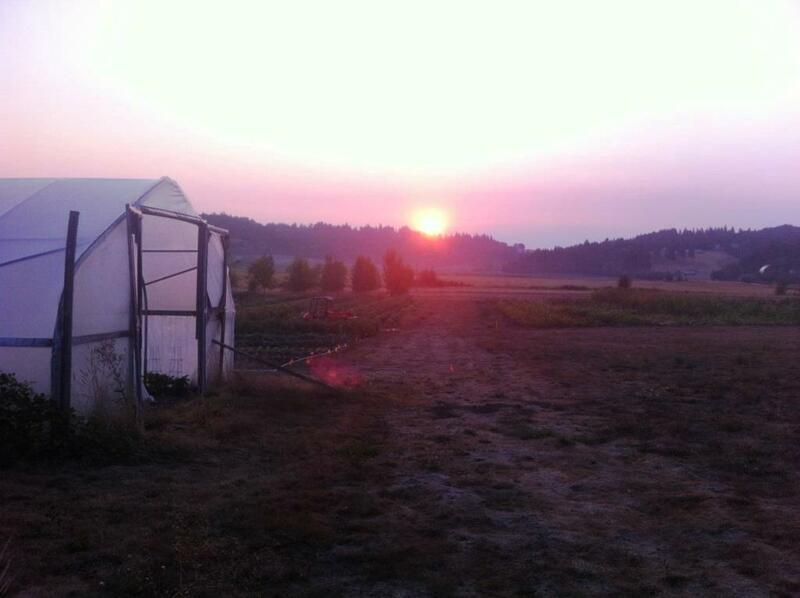 The day begins, photo by Beth R.
Field E, photo by Beth R.
The most productive season for Bethel Springs Farm/June’s Corner Garden to date. Beginning as June’s Corner Garden in 2007, I had less than 1/3 of an acre in production. 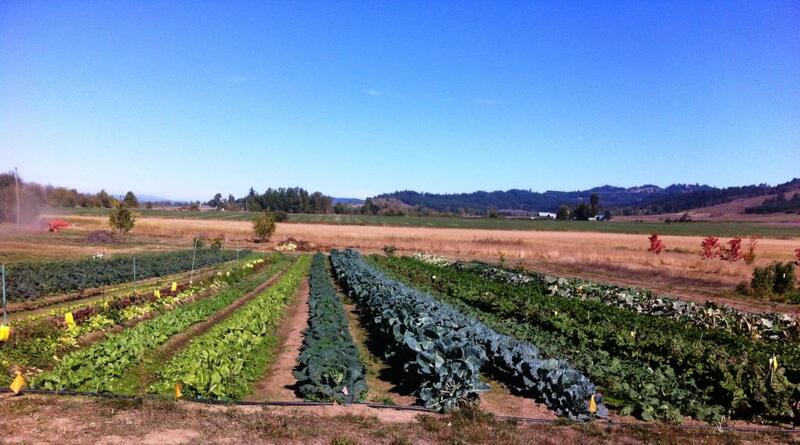 Last year, when we moved to the new farm, I put in 1 acre of vegetables. This year, it was nearly 2 acres producing lots and lots of vegetables. Some statistics from this year (in produce sold): 1,000 zucchinis, 449 lbs of spaghetti squash, 203 lbs of snap peas, and 1,202 cucumbers, among other things. 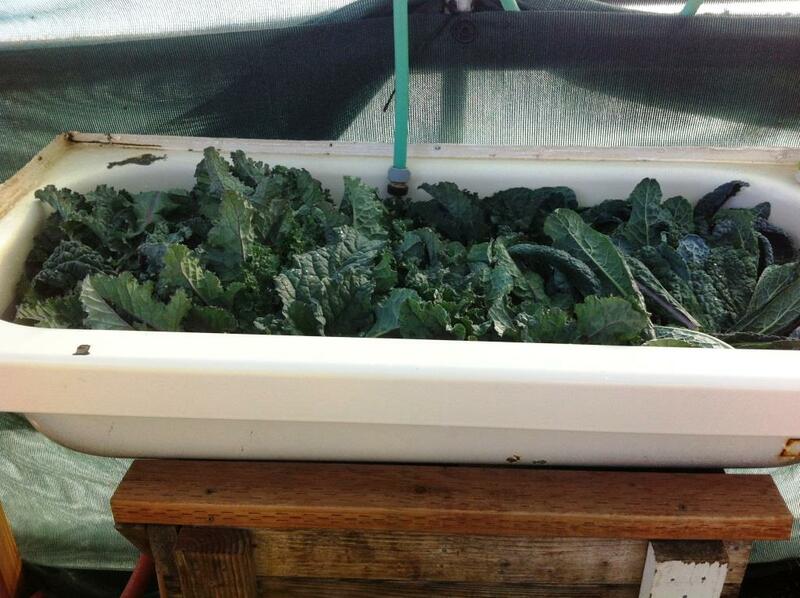 Kale bath, photo by Beth R.
Having great people to work with. This year, I hired my first official employees. Over the course of the season, I had three great women to work with, one for whole season, and two for part of the season (added up all together, close to 1 full time employee). Not only did I benefit from their hard work, but I benefited from their insight and enjoyed their company, as well. 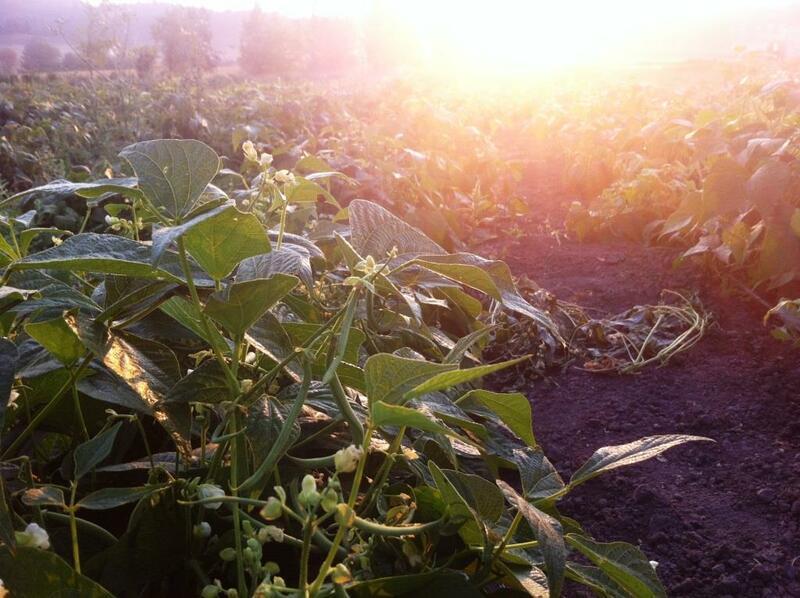 Beans at sunrise, photo by Beth R.
Becoming certified organic. I have been growing using organic practices all along, but this year, went through the process to be certified. It feels good to have my practices verified by a third party and to know that you can be assured of my practices, as well. 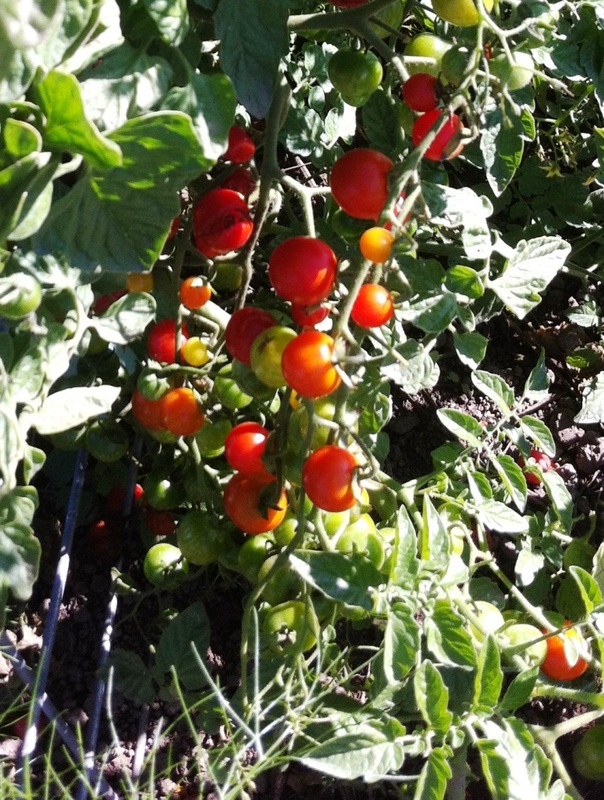 Cherry tomatoes, photo by Beth R.
Eating really well. My cooking and eating habits have changed over the years. I have to admit, I haven’t always liked many vegetables. Eating fresh from the field changed that. Now, I like almost all vegetables, and while I eat meat, other animal products and grains, the majority of my diet comes from vegetables and fruit. Really good vegetables and fruit. 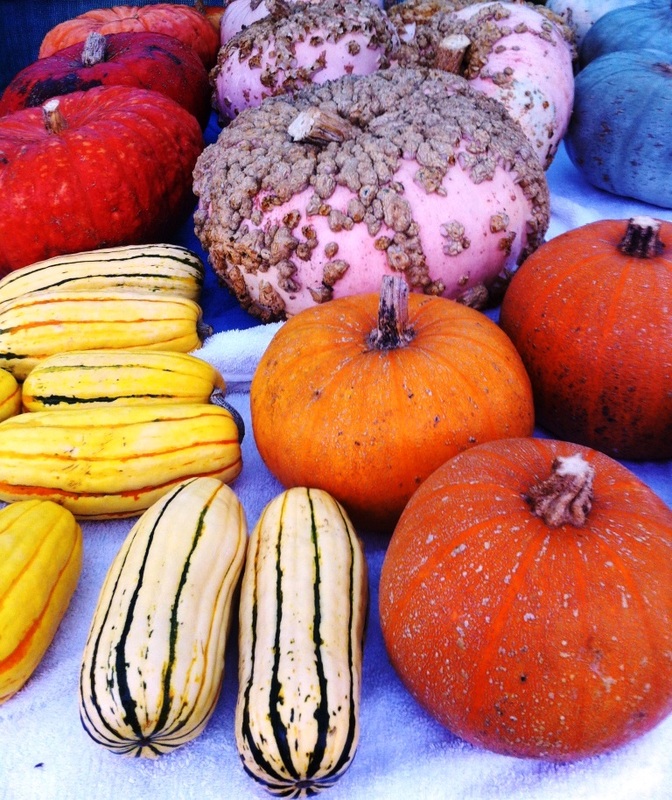 It was a good winter squash year, photo by Beth R.
The best customers ever. I am so thankful for my customers. You keep me in business, doing a job I love. I have said this before, but it is still true: the Willamette Valley is full of small, organic farms, growing amazing produce. You have lots of farms to choose from for fresh fruits and vegetables. I am thankful and honored to be one of your choices. 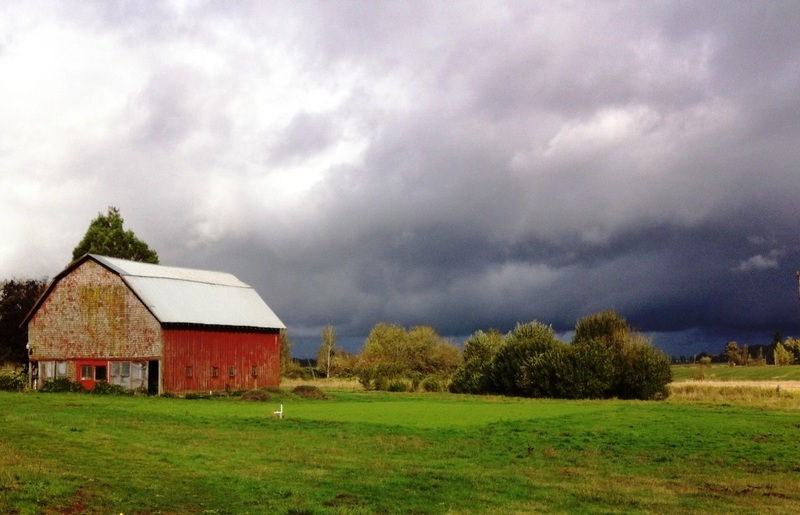 The rain is coming, photo by Beth R.
I will do more reflecting on the season in the shorter, colder, darker days of winter. I will read, dream and plan for next year. I will work on some projects and finish up some work in the fields. Life is good and I am thankful. PS: I am thankful for my husband, Steven, too. I was going to put him in the list, but it was getting too long, so he got left out. He was okay with that. This summer I enjoyed working as a farm laborer with Michelle Burger. Even weeding. Even getting wet and dirty. How much more I appreciate the effort our farmers make to bring us wonderful food!! We are really missing you right now. The other day, I had to buy kale at New Seasons! Oh the indignity!